Wash your drop cloth in the washing machine and dry it in the dryer. I added some bleach to the wash. After being washed, the drop cloth fabric is much softer. Iron the drop cloth fabric you want to use for your pillow so you'll have a smooth surface to work with. Choose a pillow size (I measured a pillow insert I had on hand). Cut two squares of fabric two inches bigger than your pillow size. I wanted an 18" x 18" finished pillow, so I needed two 20" x 20" squares of fabric. Decide on placement of your words. This pillow has the wording on the bottom half of the front, so I started at the bottom and worked up. To make a pillow like mine, measure up three inches from the bottom of your fabric and three inches over from the right hand side. One inch on the bottom and one inch on the side will make up your seam allowance, so you're really measuring two inches in from the sides of the pillow. Using a straightedge, draw a line with a pencil. Then draw another guideline for the tops of your letters. Just like in elementary school, you'll make your letters between the top and bottom lines. My guidelines for "give thanks" are 1 3/4 inches apart. 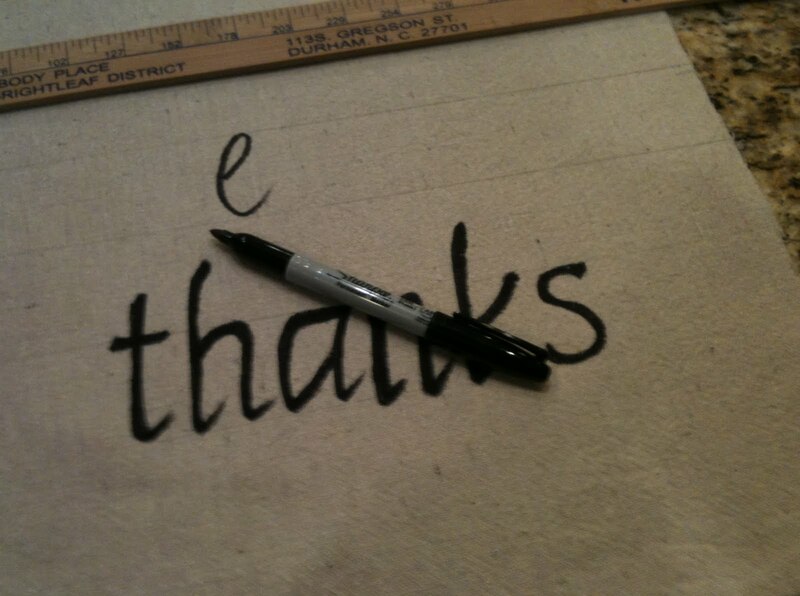 Using the Sharpie, write your letters. You can pencil them in first if you like, but I just took the Sharpie and went for it. Just write the letters to begin with, then go back and make them as full and fat as you like. I wanted the word "thanks" to end in the bottom right corner of the pillow, so I started with the letter s and worked backward, writing s-k-n-a-h-t. Note that the t, the h, and the k all extend above the pencil lines. Once you have your "thanks" looking pretty good, measure up a bit and draw guidelines for the word "give." I left 3/4" of blank space between the bottom guideline for "give" and the top of the tall letters in "thanks." Again, I worked backward, writing e-v-i-g, then going back and filling in the letters to make them big and bold. Measure up again from the top of "give" and draw smaller guidelines in pencil for "in everything." For these words, I drew 3/4" tall guidelines. This time, I wanted the "in" to land in a certain spot, so I started there and worked forward. I simply wrote these letters in a print designed to look like an old-fashioned typewriter print; I didn't fill them in to be any fatter. Note: I simply free-handed all these letters, loosely basing the writing on Chancery script and Courier type. I'm sure you could simply create a Word document mixing different fonts and sizes and come up with a pattern that suits you. Once you have all your letters printed, step back and take a look at the total composition. You might even want to snap a photo and look at it. You'll probably see a few places that need a little more filling in; that's easy to do with your Sharpie. Once you like the overall look, simply erase your pencil lines. Turn your pillow squares right sides together and pin in place. Stitch up the sides with a 1" seam allowance (or use Stitch Witchery or fabric glue). Why a 1" seam allowance? This is what I allow because I'm not a good seamstress. I have the one-inch line marked on my sewing machine with a line of tape. I simply place my fabric on the sewing machine and and keep the edge of the fabric along the edge of the tape. This way I end up with straight seams. I could never sew a straight seam without the tape to guide me. For best results, press open your seams as you go and trim the corners so that they'll be neat. Leave an opening in the bottom of your pillow cover for stuffing the pillow. When you're finished sewing, turn your pillowcase right side out and press. Then stuff your pillow, sew the opening closed (or use glue to close the opening, like I do). 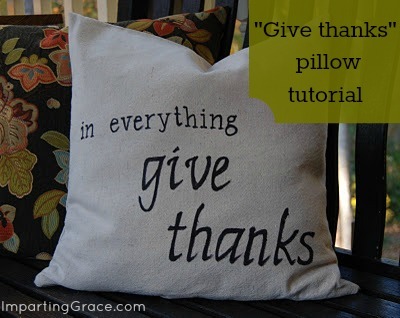 For a fuller tutorial on sewing a pillow cover, click here. 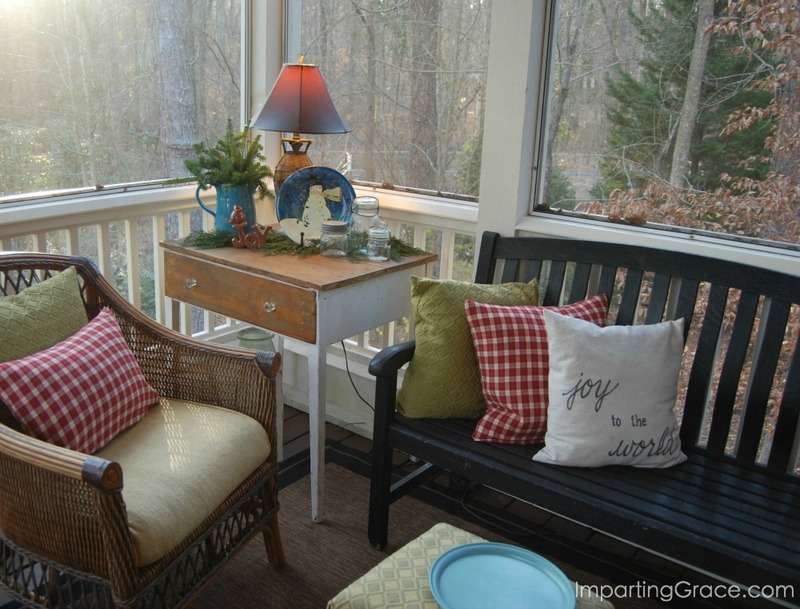 I'm using the pillow on my screened-in porch, where all is now ready for Thanksgiving! Edited to add: Later I lettered a Christmas message on the back of the pillow, so it does double duty! I'm happy as a clam to have created a fun new accessory for $0 and just a little time! What do you think? Richella your pillow is adorable! I have such terrible handwriting that I could never free hand something that great! I need to try that tape on the sewing machine trick too because my lines are never as straight as I want them to be! Fabulous pillow! and beautiful porch, too! Did you know that they make markers with disappearing ink, that would eliminate the pencil lines! They work great for projects like these! LOVE your pillow & DOUBLY LOVE your porch!! What a GREAT & inviting area :) Soo cozy, I could just sit in there all day! Wow Richella, your handwriting is beautiful, I thought you'd used a stencil! I know I would need to if I tried this! What a great idea!! might try it with burlap onback/old sheet on front - to keep it free! Your pillow is lovely! You did a wonderful job. I don't think I could have done that freehand. It's so pretty on your porch!! Richella - I love your porch and the pillow was the perfect accessory! Thanks for sharing with us. I'm glad I saw you over at Tutorial Tuesday - I love your little home on the web. Soooo cute! I want to sit on your porch and drink coffee! So impressed by your Sharpie Skills girl! You have such a beautiful porch. Your pillow looks great out there. Thanks for sharing the tutorial. It's perfect for this time of year. I am amazed that you made this for free! Hi Richella, Love the new pillow you made and your porch is just fabulous! Thanks for linking to the Open House Party and I look forward to featuring your gorgeous home. It's perfect. Simple and elegant. Great job on the lettering. Love it! It's such a great reminder to have these words front and center. Thanks for sharing!! I love this! It's beautiful and so perfect for the season (and every day, really) and I love that you used what you had on hand! This is so beautiful! I wish I had pretty handwriting to make one for myself! The pillow behind it is the same fabric my den curtains are made of! We are having a Home for the Holidays link party on our blog and I know that our readers would admire this pillow like nobody's business! We would love for you to join us! Sherry sent me your way. Great house tour! Thanks for sharing your home with all of us. Lovely. A drop cloth! Who knew?? Your porch is great. I think I would sit there all day long. 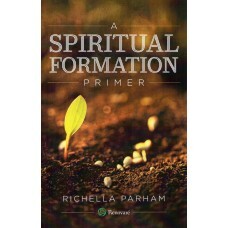 Love this Richella! I've been wanting to make a few stenciled pillows for the holidays, and you've inspired me. Your turned out so beautifully and your porch is so lovely! Hi, I just came across your blog and I'm loving it! Thanks for so many cute projects! I want to make the "Give Thanks" pillow but I'm afraid to mess up the project with my funky handwriting...and that's why I came up with the idea of using my cricut to cut out the letters and use the hollow out paper (letters) to "fill in" with the sharpie (does that make any sense? ;)) Anyway,just an idea. Love your pillows and the idea of stenciling your own design. Great holiday idea! Thanks for sharing at Throwback Thursday. Just wanted to let you know that your pillow is my feature at Throwback Thursday this week. Thanks so much for sharing!